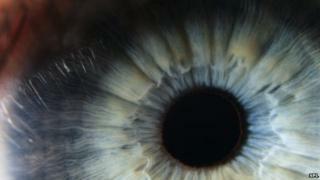 Scientists have developed a new technique to regrow human corneas. Using key tracer molecules, researchers have been able to hunt down elusive cells in the eye capable of regeneration and repair. They transplanted these regenerative stem cells into mice - creating fully functioning corneas. Writing in the journal Nature, they say this method may one day help restore the sight of victims of burns and chemical injuries. Limbal stem cells (LSC) are crucial for healthy eyesight - these cells work to maintain, repair and completely renew our corneas every few weeks. Without them the cornea - the transparent outermost layer of the eye - would become cloudy and our vision disrupted. A deficiency of these cells due to disease or damage through injury to the eye are among the commonest reasons behind blindness worldwide. But the cells have so far been extremely difficult to identify, buried in a matrix of other structures in the limbal part of the eye - the junction between the cornea and the white of the eye (the sclera). Now scientists from the Massachusetts Eye and Ear Infirmary, Boston Children's Hospital, Brigham and Women's Hospital and the VA Boston Healthcare System have identified a key tracer molecule - known as ABCB5 - naturally present on the surface of limbal stem cells. Though ABCB5 has been known about for some time in other parts of the body, this is the first time it has been spotted on LSCs, helping to single out these elusive cells. Researchers have been able to tag these cells with fluorescent molecular flags. In their study, the scientists used this tagging technique to instantly identify a pool of LSCs on donated human corneas. After being transplanted to mice, these cells were able to generate fully functioning human corneas. Prof Markus Frank, of Boston Children's Hospital, a lead author in the research, told the BBC: " The main significance for human disease is we have established a molecularly defined population of cells that we can extract from donor tissue. "And these cells have the remarkable ability to self-regenerate. We hope to drive this research forward so this can be used as a therapy." Harminder Dua, professor of ophthalmology at the University of Nottingham, who was not involved in this study, said: "This paper represents a very comprehensive and well conducted piece of work that takes use closer to the precise identification of stem cells. "Applying this knowledge to a clinical setting could help improve the outcomes for patients who need corneal reconstruction."